In the Middle Ages large areas of South Down were in the possession of the Irish Clan Magennis. In the 1741 the part of this vast estate known as the Manor of Clanagan was acquired by a Scottish plantation family - the Innises. 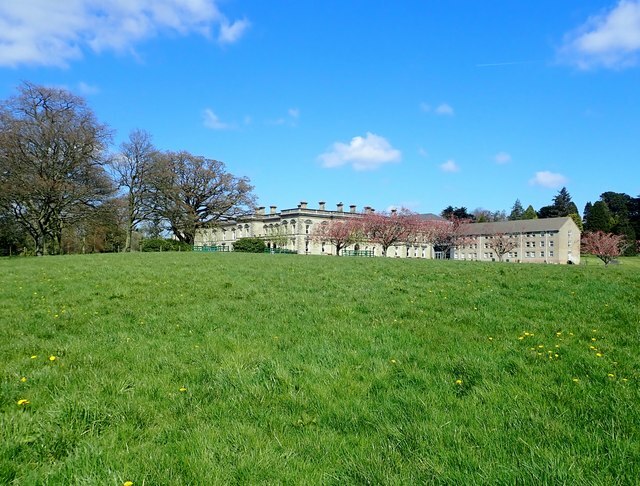 Here, on 320 acres, they created an estate which included an eye catching Neo-classical house, a large lake, parkland, forest plantations and farmland. Early in the 20thC the Innes family encountered financial difficulties and in 1926 sold the Dromantine Estate to the Roman Catholic Society of African Missions. Between 1927 and 1972, when all priestly formation was transferred to the Irish national seminary at Maynooth, more than 600 priests were trained here for the African missions and new dorm and classroom blocks were added on to the house. In 2001 the house and estate reopened as a Retreat and Conference Centre.